A flooded basement can cause a lot of damage to your home and can create an unhealthy living environment for you and your family. Flooding of your basement most often occurs during very heavy rains or from rapid snowmelt. Because the basement is the lowest part of the home, they are prone to flooding. This flooding can occur by seepage through the walls or the floor of the basement from surface water. It can also occur by a sanitary or storm sewer backup. When the groundwater level rises or if your home is in an area with a high water table, this groundwater will find its way into your basement through even the smallest cracks in the walls or floors. The water levels of sewers such as storm, sanitary, or a combination can, at times, raise to a level above the basement floor, causing flooding. When the groundwater or sewer level around your home is above the basement floor, gravity will move the water into your basement. Any cracks in your foundation floor or walls will provide gravity with a path for the water to be pushed into the basement. Blocked sanitary sewer lateral. The sanitary sewer lateral will fail over time. This may be caused by tree roots that penetrate the lateral or the lateral may fail because of deterioration. This can cause the blockage of the lateral, resulting in sewage backup. Foundation drainage failure. When a home is constructed in a low-lying area, the foundation drainage system has to work harder to keep the groundwater level around the foundation lower than the basement floor. This continuous working of the drainage system will cause the system to fail over time. Water line break or hot water tank failure. 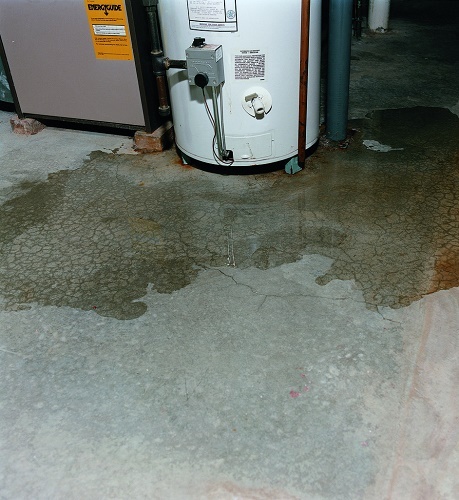 Flooding in a basement can occur due to a break in the home’s internal water supply like plumbing failure or from the hot water tank. Don’t be caught off-guard. Let the professionals at Matthews Wall Anchor & Waterproofing inspect your home and offer you the best basement waterproofing system for your needs. Matthews Wall Anchor & Waterproofing offers several basement waterproofing and foundation repair solutions in Pennsylvania. Interior waterproofing consists of a perforated pipe that is installed along the interior footings. Then this pipe is attached to the sump pump system which drains the water from the sump pit away from the basement. Exterior waterproofing consists of a perforated pipe installed along the exterior of the foundation, prevent water from getting close to the foundation. This pipe is attached to the sump pump system that drains it away from the foundation. Matthews Wall Anchor & Waterproofing also offers foundation repair. 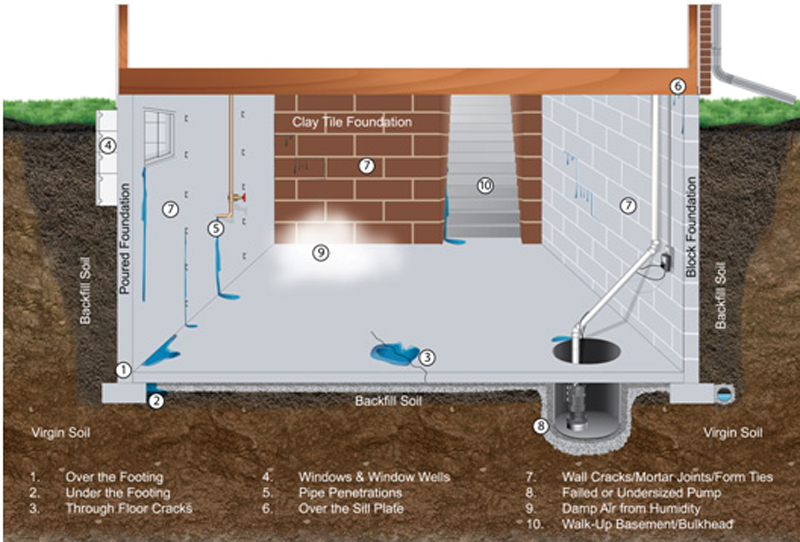 If your foundation is damaged, it will cause basement flooding. Our foundation repair includes the installation of helical piers or steel push piers. These piers are driven deep into the ground through the unstable soil layers until they reach a solid soil layer. Then the entire weight of the structure is lifted onto the piers to level and stabilize the foundation. We also offer carbon fiber installation. This carbon fiber is installed along the basement walls to assure that the walls are solid and to prevent water from entering through cracks in the walls. 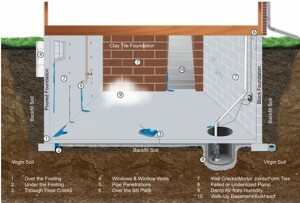 All of the products we use for basement waterproofing and foundation repair are the best in the industry. They are manufactured by Earth Contact Products (ECP), the leader in the manufacturing of basement waterproofing and foundation repair products in the industry, with all of their products made in the USA. Don’t let a flooded basement cause you to lose living space or ruin personal possessions. Contact the professionals at Matthews Wall Anchor & Basement Waterproofing Services today to help prevent a flooded basement.